Need a trailer or a pickup for transporting this unit. Used for tilling sod or first time gardens. The FRC800 is ideal for extra large gardens and breaking new ground quickly. Its heavy duty tines churn through the soil, working it thoroughly. The FRC800 is also a good choice for its ease of use. Unlike mid-tine and mini-tillers, this tiller is self-propelled. 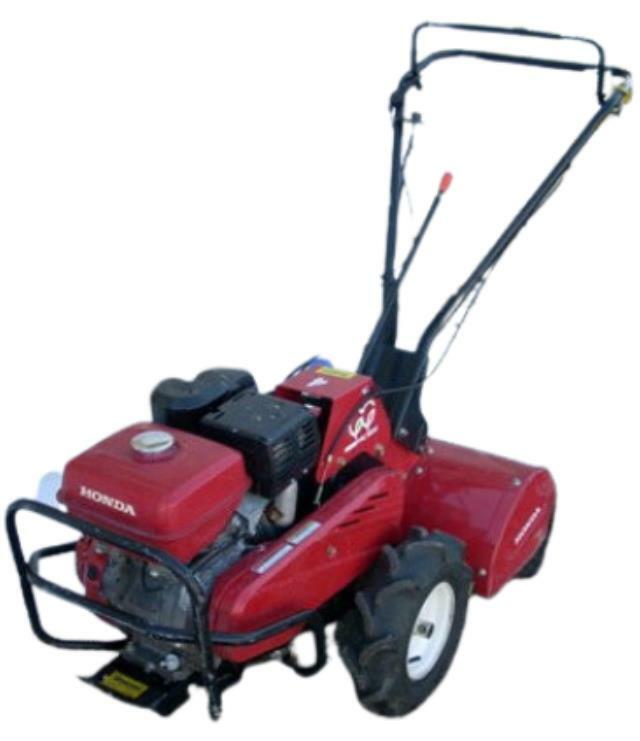 * Please call us with any questions about our tiller rear tine honda 8 hp rentals in Burnsville MN, Rosemount MN, Apple Valley, Minneapolis, St Paul, Twin Cities, South Metro,and Dakota County.